There’s no doubt that the people of Birmingham love a good cup of coffee, especially if there’s something unique about it. At The Red Cat Coffeehouse, locals get just that — and a full breakfast and lunch menu, too! You may have seen them serving up crepes and coffee at Pepper Place Market on Saturdays. You might’ve even visited one of their storefronts. Now, here’s a look behind the scenes with the Coffeehouse’s owner, Kirk Summers. 1. What makes your menu stand out? 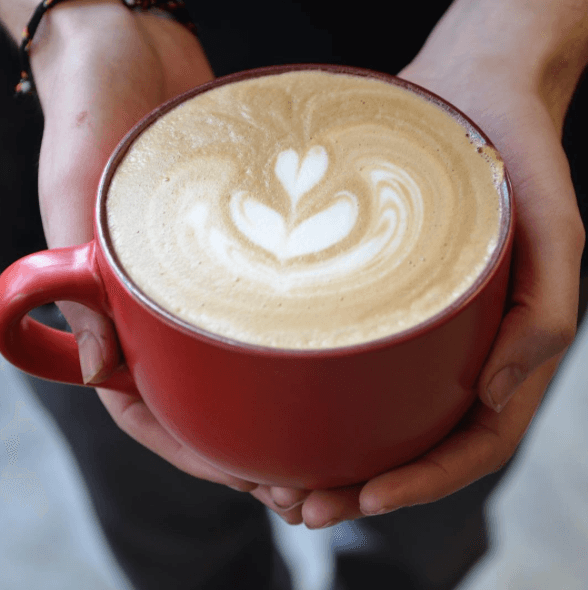 We have the motto “Coffee for everyone.” We aim to be a place that can accommodate all levels of coffee drinkers, from self-proclaimed coffee snobs to novices and more casual drinkers. You can find a range of coffee beverages at our coffeehouse, from carefully crafted lattes poured with latte art to sweet drinks named after cat breeds reflected through interesting combinations of syrups and sauces. We cold brew our iced coffees for 24 hours to achieve the richest taste possible. All of our coffees, incidentally, are roasted in house, so our coffee never travels more than a few feet from roaster to your cup. Our food menu has both breakfast and lunch items that are much more than one normally finds in a coffeehouse. For breakfast, we have stone-ground organic grits, omelets, croissants, and a slew of pastries. For lunch, we carry a variety of toasted wraps and panini, extravagant salads, and some unique items, such as spanakopita (Greek spinach pie) that we make in house using an authentic recipe and techniques. On Saturdays at Pepper Place (and Sundays at Railroad Park), we serve European-style crepes stuffed with a variety of savory and sweet ingredients. 2. For someone who may not be a coffee aficionado, what would you suggest they order at Red Cat? For most people, the mocha is the gateway espresso drink. I suggest they order the “chocolate cortado,” a small latte-like drink infused with artisan Ecuadorian chocolate. It’s really to die for. 3. How is Red Cat involved in the community? We see ourselves as integral to the Pepper Place Farmers Market that takes place in the streets around our original location every Saturday. Not only do we sponsor the market, we host the planning meetings of the directors, farmers, and artisans. We also pride ourselves on serving coffee to the masses during the market both inside our shop and out in the market itself. 4. What makes Birmingham a special place to start a business? We have anchored our two locations, one at Pepper Place and one at Railroad Park, at the two ends of the Rotary trail that runs along the spine of Birmingham. Along that trail lies the heart and soul of the city. We can see people mingle, exercise, and give vibrancy to this emerging community. The people here are keen on embracing locally owned businesses so that Birmingham can have a unique character all its own. To hike Red Mountain Park!